President Elect Barack Obama has recently looked into conversations between the members of his cabinet and Blagojevich and has washed his hands clean of any accusations. What does Obama think he’s doing? All of a sudden he’s President Elect and he’s infallible from error? Who does he think he is? Macbeth!? 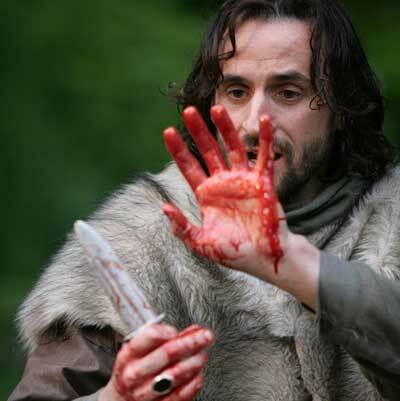 However, in the end of Macbeth, it isn’t such a happy ending. Macbeth doesn’t get away with what he did. He gives into corruption, his greed for power. Macbeth somehow comes to the conclusion that he is invincible because he wasn’t born of the womb just like many people think Obama is invincible because he is from a different country. Does anyone see a commonality? Obama is not invincible. Someone needs to look into this situation, not only Blago but also Obama. There both from the same state people. Corrupt Illinois. And Lady Macbeth in the background is running the entire show and look what happens to her. Now all we need is a Macduff to save us. Does anyone else think the same way or am I the only one with my eyes open?